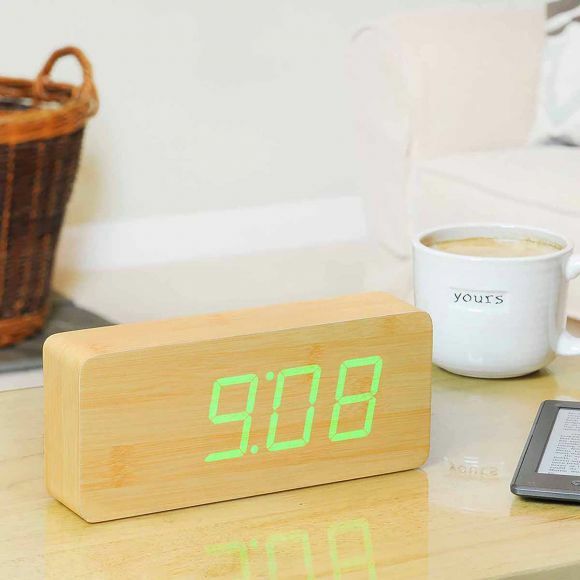 Slab Beech Click Clock / Green LED - All you need for your home and garden. 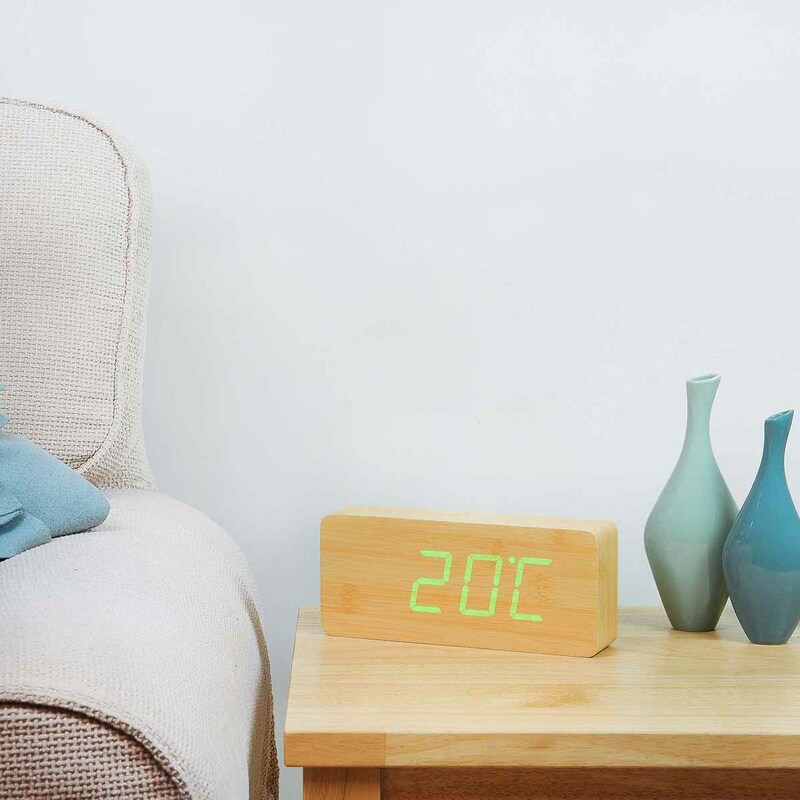 We're all slaves to time, but now it's on your terms with this British designed and quality made Rechargeable Slab Beech Click Clock. Just click your fingers, clap your hands or gently tap your bedside table and the time, date & temperature will alternately appear for you in green LED colour. It automatically switches off when the room is quiet, lighting up again when the alarm goes off or as a response to your clicked fingers or clapped hands. 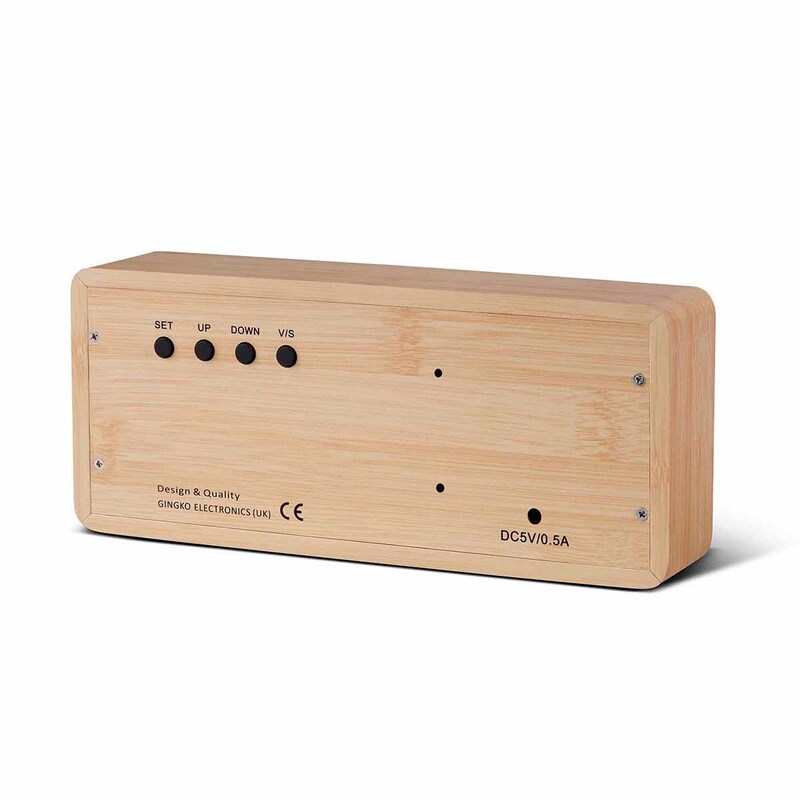 The numbers seem to float on the lovely wooden block, but that's just half the magic of this cuboid with a conscience.